Welcome back to another edition of Nu-Perspective, THEE column for all redesigns and updates of various Nubian (black) comic book characters you never knew you loved. As you know, March is International Woman’s Month, so this month we dedicate to all women characters. Earlier this month we showcased the character Pathway from Marvel's Alpha Flight Universe, and it fit perfectly to give her sister Goblyn the Nu-Perspective treatment. Original Goblyn design...artwork provided by Google, artist unknown. 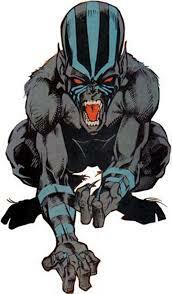 Goblyn obviously also comes out of Marvel Universe and the Alpha Flight comic books. Check our Nu-Perspective take below. And be sure to check out her original look(above) and story, and let us know if you like what we did with her. Then see ya in 2 short weeks with another Nu-Perspective. Story: Due to her parents’ mutaphobia, the physically mutated fetus of Goblyn was supposed to be aborted, with her “normal” twin sister Laura preserved to term. When Laura was the sole infant born, her parents breathed a sigh of relief, believing the procedure was successful. Unbeknownst to everyone at the time, both children were mutants, and while still in her mother’s womb, Laura subconsciously used her nascent powers of dimensional portals to send her twin sister to the dream-like realm known as “Liveworld”. “Born” in an alternate dimension, Goblyn grew up feral into adulthood, while her sister Laura lived in the normal world, but with autism. Falling into the clutches of the evil Bedlam when her well-meaning parents sent her to the New Life Clinic to cure Laura’s autism, it was found out that when Laura was tremendously frightened, she would switch places with her twin sister trapped in the extra-dimension dream realm of “Liveworld”. This would lead to many believing for many years that Laura and her sister (who became known as “Goblyn”) were one and the same. (Whenever Goblyn came to Earth, Laura took her place in "Liveworld." When Laura returned to Earth, Goblyn would again return to "Liveworld."). At some point both Laura and Goblyn were forced into becoming members of the evil team known as the Derangers. Tragically, Laura/Goblyn were the only mind-controlled members of the Derangers to survive their encounter with the Canadian superhero team Alpha Flight. 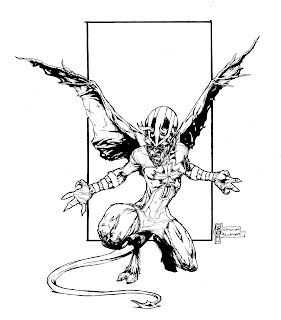 Inducted into the trainee team Beta Flight, the twins would not officially meet until an adventure took Alpha Flight to Goblyn’s home dimension, ruled by the magical succubus entity called Dream Queen. The miraculous and heartfelt reunion of both sisters even cured Laura of her autism. While taking a long reprieve from both Beta and Alpha Flight, the two fell off the radar shortly after the disbanding of Alpha Flight and Department H, following the team’s altercation with the Hardliners. In actuality, Laura became manipulated by the Dream Queen, using her portal powers to invade and conquer other worlds and realms, increasing her mistress’ empire. But with Goblyn’s aide, Laura was able to break free of Dream Queen’s control. Powers/Abilities: Due to her physical mutations, Goblyn has sharp claws and fangs, capable of clinging to most solid surfaces and shredding reinforced steel or concrete. 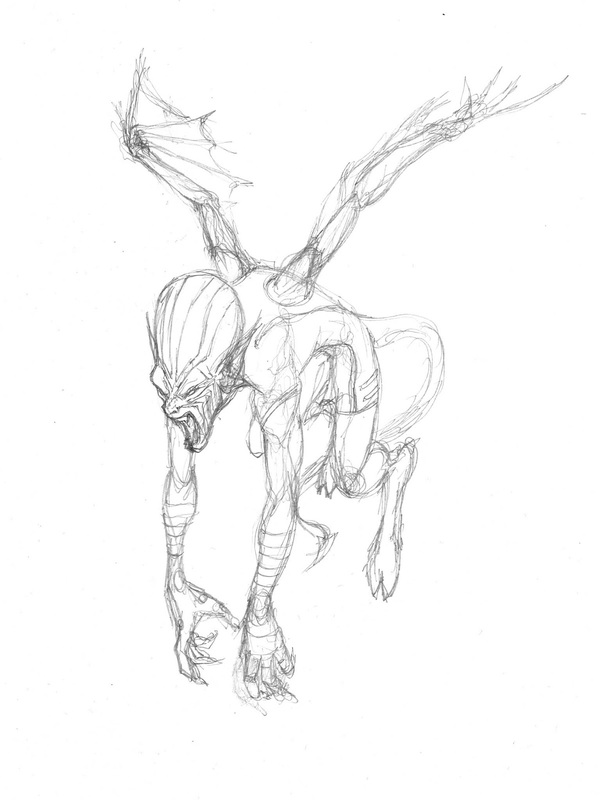 Further mutating as she “matured” has granted her a pair of bat-like wings which she can use to fly, and a prehensile tail. Despite her diminutive size, she possesses over five times the strength of a human in peak physical condition, as well as super human reflexes and senses, including nocturnal vision. Her hide is also more resilient than tactical body armor, enabling her to shrug off most small arms fire. With her hoofed feet, Goblyn’s powerful legs can run up to 30 mph and leap over five stories. Because she grew up feral in the Liveworld dimension, Goblyn is also a skilled huntress. While not possessing a fully developed healing factor, Goblyn can heal quicker from non-fatal wounds than a normal human. But it is not strong enough to re-grow entire limbs or organs. Her full-bodied fur also renders her invisible in low light conditions and in shadows. Her most distinguishing feature is her bulbous cranium, which also now have demon-like horns. Another latent power of Goblyn, is that she can psychically “see” through animals within a five-block radius, but only one at a time. While not full telepathy/mind control, she can empathically manipulate the animal to go where she wants. She can use this power on weak-willed people, but only through great effort. What IS Nu-Perspective you ask? Well, it's a bi-weekly column I started with my writing collaborator Fabian Wood with the purpose of spotlighting, revamping and updating different underdeveloped, underutilized and all-but-forgotten Nubian (black) comic book and pop culture characters. Our goal is to showcase them in fresh, contemporary and exciting ways both visually and story-wise. What do you like most about the character? S: I like the completely unique origin of the character. And the fact that she's an example of not all mutants looking like pretty boys and supermodels. What made you choose this character? F: She’s Pathway’s dejected twin sister, so we couldn’t do Laura without Goblyn. Did the character pose a challenge to update and if so what was the hardest part of the redesign? F: Like Pathway, Goblyn pretty much went to the wayside after Alpha Flight ended, so it was easy to pick up the pieces and give her and her sister a new road to travel without meddling much in what came before. In terms of her physical appearance, Shawn and I agreed to update her, in the same vein as Beast from the X-Men who is periodically still “mutating”. The updates play up a more gargoyle-esque appearance for polish. S: Goblyn wasn't really a challenge to update from an art viewpoint, cause I felt her original design was pretty cool. I just wanted minor tweaks. Was there a challenge as far as the art itself? S: I was feeling my first sketch, but I felt it made her look like a flying monkey. And I really wanted a pose that would spotlight the similarities between Goblyn and her sister Pathway. Plus show that great maple leaf. I ended up liking this new pose. In hindsight is there anything you would do differently now? S: I'm re-thinking if I should have made her bigger. What was the most fun part to redesign? S: Adding those wings was surprisingly fun as an artist. Would you want this character’s powers? S: I would love them, without the deformities. Fine Print: All characters are copyrights and trademarks of the respective publishers and creators. This column is used solely for artistic enjoyment. I like to draw stuff..I like to read stuff..I like to write stuff. Follow me as I try to meld the three.